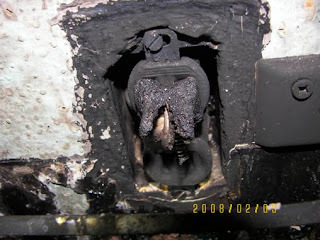 I am Superintendent of an apartment building and the fire chief was telling me not to use those scented plug ins as they can cause fires. Since then I only by the stand alone units of scented spray and no plug in the wall kind whatsoever. I was told this a year ago and found this article on the subject. A house burnt down... nothing left but ashes. They have good insurance so the house will be replaced and most of the contents. That is the good news. However, they were sick when they found out the cause of the fire. The insurance investigator sifted through the ashes for several hours. He had the cause of the fire traced to the master bathroom. He asked her what she had plugged in the bathroom. She listed the normal things...curling iron, blow dryer. The investigator said he personally wouldn't have any type of plug in fragrance device anywhere in his house. He has seen too many places that have been burned down due to them. Please watch what you buy and warn others about these as it could save lives.